Joe and Elie talk with Ray English, Career Services Director at Arizona State Sandra Day O’Connor School of Law, about when to start finding a job. (SPOILER ALERT: Now). And how to start finding yourself. Joe Patrice: Hello. Welcome to another edition of Thinking Like a Lawyer, all you thinkings out there. I don’t know, I am still working on the name of what the audience should be, what nickname we should give the audience. I am Joe Patrice from Above the Law. I am joined, though not with a microphone this time, from a remote on the surface of the moon, I am joined by Elie Mystal. Elie Mystal: I am wearing white and I don’t care that it’s after Labor Day because I am an adult. Can you explain why I am on the remote mike here? Elie Mystal: Because it sounds like it’s my fault, but it’s really not, is it? Joe Patrice: Oh, it’s totally my fault. So I have unfortunately broken my foot and messed up my ankle and I am not able to move, so to record this podcast I requested that all of the materials that I will need be brought from the office to me at home, and people were a little overzealous and not only brought all my stuff, but all the stuff Elie needs to record from the office, so now he has no ability to record, so he is on a phone. Elie Mystal: It all works out. I am sorry about your foot, it is somewhat hilarious. Joe Patrice: I mean fair enough, but, yeah, it is high comedy that I am injured, and we should all take a second to laugh at it. Let’s see. Yeah there’s our joke sound effect. All right, so yeah, you wanted to say something Elie. Elie Mystal: So obviously if you have been following the news at all in the past few weeks, apparently God is angry at us and has set about the horrible weather, aided by his right-hand man climate change to destroy us. All the hurricanes and the potential weather disasters I think have really brought into stark reality how stupid the Bar rules are when it comes to people from different states being allowed to practice to help victims from these tragedies and disasters. We wrote a story a couple of weeks ago, Texas had to waive their rules to allow people to do pro bono legal aid work in the wake of Harvey. Why do we have to live in a world where that has to happen, right? Has Florida waived their rule, not yet, I don’t believe. Do they have to? Do we have to go through a whole court procedure because you are a lawyer in Georgia and you want to help out some people suffering in Florida but you can’t because you are not — it’s ridiculous and it’s antiquated and it needs to stop. Elie Mystal: Further, I would say for all pro bono. I mean it’s pro bono, you have lawyers who are willing to work for free and help. Joe Patrice: The reason why that’s a little troubling is that we do have stories, in particular in immigration cases, but elsewhere where lawyers come in and do a bad job, they aren’t held accountable, they steal money from the clients, put the clients at a bad place by not telling them what’s going on. There is a reason why we have a regulation system to make sure that even people who are donating their time are doing it effectively. Elie Mystal: I concur with that, but that’s not state by state, that’s because we have some shady lawyers out there that need to be caught and punished, that’s not because a lawyer from Georgia is helping out a person with an immigration issue in Florida. Elie Mystal: That’s because a bad lawyer is helping out a person. Joe Patrice: Your kind of argument for pure lawlessness as far as being able to practice cross-border opens the door to an opportunist from somewhere else coming in and taking advantage of people. There should be a mechanism of understanding who is and is not practicing within the state for whatever reasons, but yes, it needs to be more open, I think that’s true. I just am holding back on the kind of anarchic solution that you are throwing out there. Joe Patrice: Partial ambulatory, yeah, that’s fair enough. Joe Patrice: Yeah. So we are going to take a quick break right now, because we can, and we will be right back. Adriana Linares: Starting your own solo practice is tough. Hi. My name is Adriana Linares and I host a show called New Solo on Legal Talk Network. In it I interview successful lawyers who have gone solo and experts in marketing, management, technology and everything else you need to know that you didn’t learn in law school. Find us on iTunes, Google Play or at HYPERLINK “http://www.legaltalknetwork.com” legaltalknetwork.com. Joe Patrice: All right, we are back and today, what are we talking about today, Elie, we are talking about law schools, we are talking about jobs? Elie Mystal: Well, look, today we are at the start of a — we are just at the start of a new law school year and so we thought it would be great for our law school listeners especially to bring on Ray English. He is the Career Services Director at Arizona State University Sandra Day O’Connor College of Law. I will personally vouch for him. I have been to a couple of his now presentations. He is one of my favorite career services person to talk to, because he is very thoughtful about it, and so we thought we would like to have him on. How you are doing Ray? Alfred Ray English: I am doing fine and thank you for inviting me. Elie Mystal: Thank you for coming. I am always interested in how law students are getting a job, but I will set you up with what I think is a softball. When I talk to law students I say that by this time and this — so they have been back for what, two weeks, I say that by this time in the semester you have talked to the Registrar, you have talked to the Bursar, you have got your classes all set, the next person you should talk to is you, Ray, is your Career Services Officer as a 1L and start the process of finding a job. What do you say to that? Alfred Ray English: I 100% agree, and when you say start the process of finding a job, the question is what does that mean? That means finding yourself, trying to figure out what exactly you want to do when you graduate. We find that sometimes that’s the first question we have got to answer, because most people don’t really have a good idea of that. Elie Mystal: We started off a little bit talking about hurricane relief and so my super cynical question is, in your experience how long does it take for your average 1L to go from, man, I went to law school to help people, to go from there to, who is going to pay me $160,000, $180,000 a year working for a big firm, like what’s the delta on that amount of time? Alfred Ray English: Actually, that assumes that most people come to law school to help people, but generally after that first year they start realizing, especially when the first grades come out. People hedged your bets. They know that those high paying jobs require good grades, so they hedged your bets a little bit. Well, I just want to serve people, but if they do well that first semester, things change real quickly when they realize they are competitive for some of those jobs, and of course that’s a small percentage of students. But most students who come to school with an idea of really helping people mostly maintain that. Joe Patrice: And I think that’s true. I also was going to say that, just as a side question, I don’t know, do you think there is a little bit of a difference in those populations given you work at a state institution as opposed to a private school. It would seem like there is probably more people who are able to go to your school who aren’t going to find themselves in mountains of debt at the end, which gives them a little bit more flexibility. Alfred Ray English: I agree, that’s a big change. I mean having been in Atlanta for seven years and I worked with all the law schools there, and Emory is there and obviously the feedback is the more you pay for your law school, the more important how much you make after law school becomes. And so that is a little bit unique challenge if you are paying $50,000 a year for law school and you are borrowing money. So yeah, at that point you have got to kind of keep your eye on the ball on how much money I am going to make in order to afford to pay my loan payments. Elie Mystal: Let’s talk about something, you said that part of the process especially for the 1L is finding yourself, this conversation kind of plays into that. Talk a little bit more about that. What kinds of things can you start thinking about and start working on kind of even as a 1L to really start helping you make what’s going to end up being a crucial career decision down the road? Alfred Ray English: One of the things, the first question I always ask 1Ls is what do you like to do, before you start focusing on practice area, tax, whatever it may be, what do you like to do? Do you like to argue, do you like to write, do you like to research, are you somebody that says I am going to go to my office, do my job, go home, I don’t want to deal with people? You need to understand yourself because once you do that, you can begin to identify multiple practice areas that may meet your demand and your desires. Elie Mystal: And are you thinking about that? Are you thinking about helping people kind of choose that practice area or is it also just kind of a question of size of firm or kinds of clients? Alfred Ray English: It kind of plays out. Once you start thinking about what you want to do, then that kind of begins to filter out which employers make sense for you, depending on what they do. Here at Arizona State one of the things I have started doing is we send admitted students an assessment, which gives them some ideas about what their motivations are, what their skills are in terms of strengths and weaknesses, and it also recommends some potential practice areas that may fit their skill sets. And so we can begin to have that conversation about, what are my skills, where do I fit in based on what I want to do, what I am motivated to do. For example, if you are motivated by money, well, you need to know that straight up, obviously that’s your motivation; public interest is not the thing for you. Elie Mystal: That’s a great point. Yeah, I mean it’s funny to think about it in that way, but you are right, if you are the kind of person that is going to get out of bed because of a paycheck, you kind of need to know that as soon as possible. Elie Mystal: I think what I deal with, and I think what Joe and I see more on the site are people who thought that the money would be enough to get them out of bed everyday or more to the point not go to bed every night and then later find out that there are in fact things in life that they value more than the paycheck. And for our readers it’s a lot of like trying to get them — help them think of different ways to get out of a high paying job that they got into. Alfred Ray English: And that’s why we stress so you don’t make that mistake and that’s why we try to talk to 1Ls early on to get them thinking about what it is I really, really want and what’s really important to me. Now, if you want that big paycheck, you have to be willing to give something up, like your life, quality time with the family, if that’s something you are willing to give up, then maybe you can make the six figure salary right out of law school, or you decide something else if you determine that quality of life is more important to you. Elie Mystal: All of our listeners on this podcast, they work at kind of small to midsize firms and I am wondering, one of the things that was interesting about some of the times that I have heard you speak. Can you talk a little bit about the different challenges in putting people, placing people in those small to midsize firms? I feel like a lot of people understand that if you want to work in big law, there is a process. There is a wheel, you get on the wheel at the right point, it spits you out, all good. If you want to work in public interest, there’s actually a process. The ACLU has a hiring process, legal aid has a process. If you want a clerk, there’s a process. If you want to work for that kind of 10, 12 person law firm, for your guys, in Flagstaff, like how do you go about getting that job? Alfred Ray English: You have actually hit a point that is a passion for me, so to speak. And what I think law schools are doing and what I am trying to do is to actually create those pathways into those small firms. The challenge is small firms hire when they need. Unlike big firms and other government agencies and even some public interests, employers, like you said, they have a cycle, they have a process. Small firms do not. They hire when they need a body and you need to be barred most times before they can bring you in, because they can’t afford to support you until you pass the bar. So what we have tried to do here at Arizona State is really develop programs that are basically pipelines, low-cost to small firms, where they can kind of test drive, get people in, interns, externs in, train them up the way they want to go, at a minimal low end cost, with the idea that when they get bar, when they graduate they can bring them on as a full-time associate. So we are in the process, for example, and if I could take a few seconds, with a program that we call our 3L Residency Externship. We essentially of the fall and spring semester of the 3L year, they work 168 hours, three hours of externship credit and they get paid $15 an hour, for both semesters. We have 18 firms that participated, 25 externs, and actually we have two people already get post-graduation offers from that and all the participants are small firms, 12 or fewer attorneys. Elie Mystal: Joe, did you ever look at, when you were going through this, did you ever look at working for a firm less huge than Cleary, Lord knows I did not, I wanted the check? Joe Patrice: Well, I mean I did ultimately work for one, right, so I did not look for anything small coming out; part of that the NYU culture, part of it the NYU Career Office very effective at getting you into those big firms. So I went into the big firm for my — getting barred, learning the ropes, three years of the grind, but learning from people who have been doing it a long time how to do it. And then as I developed within that, and going back to something I think that Ray said that I want to circle back to in a bit, about like knowing who you are, it’s not just whether or not you want to make the money, it’s also what are you going to do. I mean I more or less became a litigator because I understood what Perry Mason looked like. I didn’t know what do people do in these other, what is ERISA, so I didn’t do any of those other things because I had no idea what they would be. But even within litigation finding my niche, like, oh, this is the kind of litigation I want to do, this is the kind of practice I am interested in, that’s what led me to move to a firm that at the time had fewer than 20 lawyers after I left Cleary, and I practiced there for eight years in a small firm, boutique firm doing white-collar work because I found that I had an aptitude for the white-collar criminal stuff within the broader scope of litigation. Elie Mystal: I am not going to let you get through a whole ATL interview without a thousand shades, so here’s what I have got, whose job do you think it is to help students learn, how to help law students learn, not just how to file a brief or argue — do a pilot argument, but to learn how to run a business, get clients, really be able to be their own small business person, is that a law school job, is that an on-the-job training, do we need to go back to an apprenticeship model, because that’s clearly a gap that people are graduating without that knowledge, who needs to give them that knowledge? Alfred Ray English: Are you asking pre-recession or post-recession? Elie Mystal: Let’s just go new normal. Let’s just go to straight new normal. Alfred Ray English: Yeah, and that’s the debate going on within law schools. Now, traditionally law firms bore the burden of training, lawyers and law schools taught law. Now those employers are like, no, we don’t have time or the resources to train lawyers how to do that, so now it’s shifting back to the law school. And you hear a lot of incubator programs, more clinical programs, all kinds of programs being adopted by law schools in order to do exactly what you said, teach them the business of law, which traditionally hasn’t been an emphasis of law schools. So I think law schools, whether they like it or not, are being tasked with training students to be lawyers beyond law. Elie Mystal: Joe, you were going to circle back to the thing. Joe Patrice: Yeah, but first, moving to the law school taking on those responsibilities is stress on the law school too. It’s now the law school has to learn to do something that it hadn’t been doing for a long time. It has to bring on more people who have the specialty to teach those skills. It’s a problem for the way in which we, the legal industry, operate, but that was just the thing I wanted to say. Then I did want to circle back to the idea of learning who you are, back to my story about having not understood anything but litigation, like how do you reach out and teach people in 1L classes which, even contracts is litigation at the 1L level, everything is litigation based, that’s kind of the downside of the casebook method, how do you get across to them before you go into this interviewing thing, you might really enjoy the idea of being an ERISA lawyer; just to pick that one at random, and teaching them like, oh, there’s this thing over here that you won’t know about for years, but unfortunately you might have to know everything about it before your 2L year because you are going to have to interview? Alfred Ray English: I think the key to doing that is starting the dialogue early in the career, in the law school career. Part of the reason why I send that assessment out before they get here, usually they are eager, they have decided where they want to go and they read anything and do anything you tell them to do because they are eager to do something. And I want them to start to think about those areas. The beauty of the assessment is it starts giving them a window into, oh wow, I thought Perry Mason or Matlock was the law, that was a lawyer what I see on television, but now I begin to understand that there’s all these other areas that may be of interest. And so it’s incumbent on our office, Career Services Office, to actually begin to expose students to those other areas and to really force them to ask the question, what do I really want to do? And that’s the question that I didn’t ask when I went to law school. I just went to law school thinking like, hey, I am going to be a lawyer and really not thinking about what that really meant and how many different aspects are connected to the idea of a law. Joe Patrice: Oh, I was going to say that like I took property very late in my 1L year, just the way our things work, and I had already at that point started going to events and learning litigation departments because that’s what I thought it was, and by the time I ended property, a small part of me was like, well, I should really consider this trusts and estates thing because I am really — it seems fun, it’s interesting, I am good at it, but by then too much time had kind of been invested and I was already down the litigation road. Alfred Ray English: Okay, Joe, if I can give you a quick story on that same aspect. When I first got to Arizona State I was in the cafeteria, I struck up a conversation with a student; he was a second year student. I asked him, what are you doing for the summer? He said, well, I am going to do this litigation thing. I asked him, is that what you want to do? He said, well, not really. I said what do you want to do? Well, I really want to do wills, trusts and estates. I said, why aren’t you doing it? He said, well, I fell into litigation in my IL, I did this, and I got the job here, so it seemed like the pathway that was laid out for me. And he really wanted to do wills, trusts and estates. I am like, well, why aren’t you pursuing that? And when I got back to my office it just so happened that somebody had posted a position looking for a law clerk in a wills, trust and estate firm, so I forwarded it to him and said, hey, you need to apply for this job if this is what you really want to do. No one had ever asked him that question, what is it you really want to do? Elie Mystal: I want to jump ahead a little bit to 3L year. Hopefully you are 1L and you are listening and you are going to think about this in a self-assessment kind of way, hopefully you are 2L, you have found your thing; big law, small law, whatever, you have found your thing, Ray, is there such a thing as the 3L hiring market? Is that something that just is gone now, it went away during the recession, is this never coming back? Alfred Ray English: Actually, I would venture to say it exists more now than it did in the past. When I was in law school and probably you guys were in law school, nobody hired — maybe the government hired in the third year, but now we are seeing more things come about in the third year, especially in those quasi-legal areas, like compliance, that’s a huge booming area, employment stuff. So we are starting to see more opportunities for 3Ls in certain categories and certain areas of the law. But also, as they push forward with small firms, small firms are another area that if they are going to hire, that’s when they are going to hire, somebody who is approaching the bar, approaching the end of the legal law school career and will be ready to practice law. So I think there is a growing third year employment market out there. Joe Patrice: I was just going to say that it’s also the way in which — at post-recession there’s more of those small and midsize folks who don’t want to invest in somebody till they see more than one semester’s worth of grades. Elie Mystal: My other question was going to be what kind of services can be offered, I guess is really the best way of putting it, to, I want to call them 4Ls, they are out, they are in the world, now maybe they want to make a career change, do you have a lot of alumni career counseling? I know that it was very helpful for me when I was leaving my firm to go back to my law school and just talk to, again, the career people just about what other options there were, as opposed to like a recruiter who is just going to headhunt me, give me my same job somewhere else, to really kind of go back to first principles and talk to the recruiting people at my law school, is that still a thing that happens in the new market? Alfred Ray English: I think it’s happening more and more. Most law schools do permit their alumni to come back and use the services, the career services, but most folks don’t realize that. I mean here at Arizona State we have a big campaign, Law for Life, where we encourage and let alumni know that they are always free to come back and utilize the services provided by the school, including career services. And I think we have more and more of that happening because the turnovers at jobs, people are staying sort of times at different positions, and so I think law schools are beginning to recognize that’s the service they have to provide and alumni are expecting it. Elie Mystal: My final one for you, and honestly, honestly, if you don’t want to answer, it’s okay, nobody is going to think less of you, but if you had an opinion from a career services, from a job getting perspective on the for-profit law school situation, I would like to hear it. Alfred Ray English: I think there is in fact a niche for those law schools. I mean, I really think there is a certain group of want to be lawyers, maybe they work full-time, maybe they are not necessarily the strongest candidates on the LSAT, but they could be great lawyers, so there is a niche there. The challenge is the tension between providing for that niche and making a profit in every regard. I mean I worked at a small school, I was teaching at a small law school whose main goal was to provide lawyers for the Appalachia region. So those things were never going to go to large law firms or that’s not what their goals were, and they were kind of on not the strongest LSAT scores necessarily, not the strongest academics necessarily, but they were committed to the area and would make and did make excellent lawyers. So there are those students that, like for example Arizona State, they don’t quite make the numbers that we need to get in, but that doesn’t mean they can’t be great lawyers. And so there has got to be some place for them to go, and that’s where those for-profit firms can play a role, only if they don’t take advantage of people. And that’s the problem, people get greedy, they want to make a bunch of money, and they take advantage of people, but for a for-profit firm or a for-profit law school that’s really trying to do the right thing, there is a niche for that. Elie Mystal: I think that is a nice positive way to end. I think that’s what they are selling and that’s the best possible spin. I don’t like it when I criticize for-profit law schools, when people tell me like, oh, I just don’t want people to fulfill their dreams. Fulfill your dreams, I like dreams, that’s awesome, but like I don’t want to see people be taken advantage of, people who will not be able to pass the bar going into half a million dollars or quarter of a million dollars worth of debt, that’s not fulfilling a dream, that’s living a nightmare. Alfred Ray English: I totally agree. But the flip side is, if you don’t have those options, then these folks will never go to law school and never have the opportunity to serve a community that needs to be served. So there is that tension between fulfilling that need and the costs and the benefits in the for-profit firms and I just think for-profit law schools got a little greedy, and they got burnt. Elie Mystal: Wouldn’t be the first time. Ray English, thank you so much for joining us. Alfred Ray English: My pleasure. Joe Patrice: Yeah, this is great. 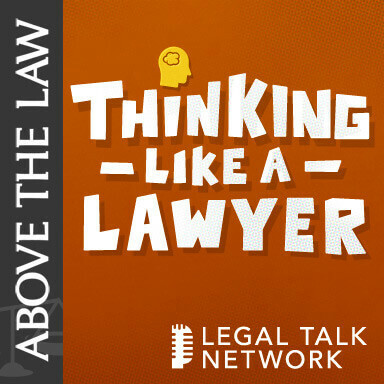 To all law students or actually even to the extent we have prelaw listeners, and I know we have a few of you, this is a very important episode to keep going back to, because you need to start thinking about your future career even before you show up at law school, because it comes at you way faster than you think. Alfred Ray English: Yes, it does. Joe Patrice: All right. Well, thanks for joining us. I want to thank everyone for listening. Everyone should be subscribing to us on your podcast subscription service of your choice. You should be giving us reviews on said service, not just giving us the stars or whatever, but writing something to talk about how awesome we are. You should tell everyone you know to listen, those sorts of things. 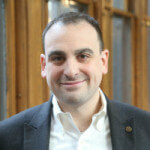 You should follow us on Twitter, I am @JosephPatrice, he is at @ElieNYC. We are at HYPERLINK “abovethelaw.com” abovethelaw.com, if you want to read our musings everyday. I wrote about Motel 6 today, that was all I did. And it was actually out in your neck of the woods. There is a couple of Motel 6s in Phoenix that are ratting out guests to ICE. Basically people check in that they suspect of being undocumented and they are calling ICE on them is what the allegations are. So I wrote a quick piece on that. Elie Mystal: I didn’t read that yet, because that would have been the whole writing gear. Joe Patrice: Yeah, there you go. Alfred Ray English: Thank you guys. Joe Patrice: Thanks everybody. We will talk to you on another episode of Thinking Like a Lawyer folks.